Malaysia Airlines and its passengers suffered two mysterious airplane disasters in 2014 which put the struggling airline in the spotlight. On March 8, 2014, Flight 370 disappeared completely, triggering an unprecedented international search effort. Then, on July 17th, Flight 17 was shot down over Ukraine. The airline has provided a LOT of support to the victims' families, and has received an outpouring of social media support from customers and well-wishers for its #stay strong and #fly high social media campaigns. These were internal marketing campaigns designed to bolster the morale of the 20,000 employees after the second unprecedented (and mysterious) disaster within 4 months. The campaigns went viral. Malaysia Airline has a new CEO, Christoph Mueller, who is credited with turning Aer Lingus around. This will be the challenge of his career! 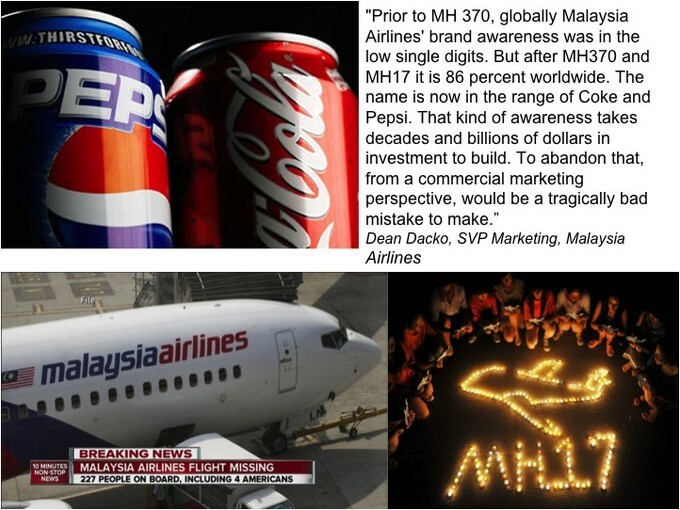 "Prior to MH 370, globally Malaysia Airlines' brand awareness was in the low single digits. But after MH370 and MH17, it is 86 percent worldwide. The name is now in the range of Coke and Pepsi. That kind of awareness takes decades and billions of dollars in investment to build. To abandon that, from a commercial marketing perspective, would be a tragically bad mistake to make. Secondly, millions rallied round the brand and embraced the notion of #Fly High and #Stay Strong. So much so, that if we were to rebrand, we would not be honouring that message, and we would not be leveraging that as a springboard. And if we rebranded, what would that say about the company? 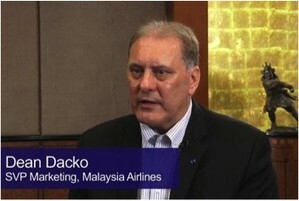 Malaysia Airlines has always been recognised as a premium full-service carrier and a national icon. The Prime Minister has said that this is something that needs to be preserved, as it is part of the fabric of Malaysian culture and society. What makes us good, what is engrained in our character and our culture, is Malaysian hospitality. 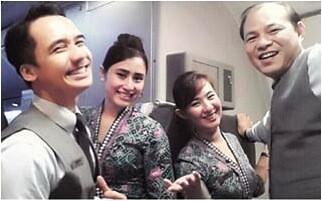 It's one of the only things that makes us genuinely different as an airline. It's what makes us who we are. And we wouldn't want to disrupt that promise." So here's the question for you: what do you think? 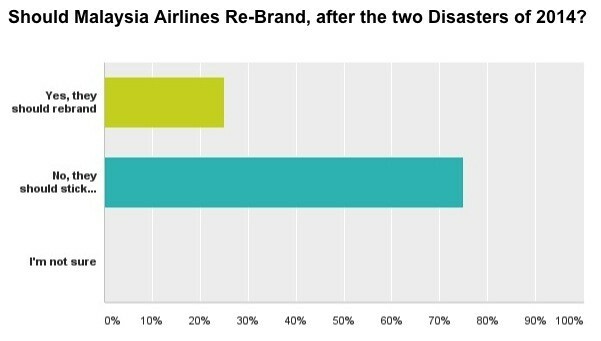 Should Malaysia Airlines rebrand or #stay strong and #fly high? Peer-to-Peer Lending for Retirement Savings? I’ve been following a fascinating development in the U.K. Budget process this month. It appears that Britain may be on the cusp of legitimizing P2P Lending as an investment vehicle for tax-exempt retirement savings. If this happens, it’s likely that P2P lending both to consumers and to small businesses will increase dramatically. And, if the financially conservative Brits can do it, why not other countries? Peer-to-peer lending (the electronically-enabled kind) marks its 10-year anniversary this month. Zopa was the first business to create a really viable model that enabled consumers to lend directly to one another with low risk. Its innovation included spreading the risk. Each amount you loan was spread across small loans given to 50 different borrowers. Zopa has evolved and simplified its offerings over its 10 years in business. It has spawned hundreds of imitators and competitors. 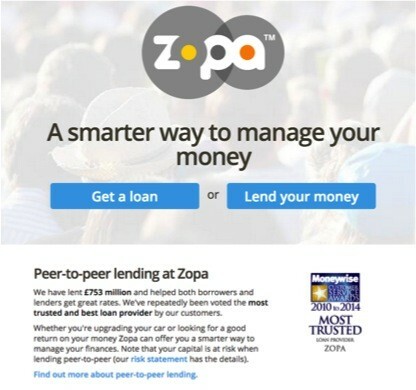 Zopa remains the leading P2P lender in its local market. One of the things I most enjoyed about revisiting Zopa this week was browsing around their Zopa's customers’ forum. You can get a really good idea of how well a company is doing by eavesdropping on its customers’ conversations with one another, particularly when there are 10 years’ worth of conversations to mine. The Zopa Customer Forum provides a fascinating glimpse into the sociology of peer-to-peer lending over the last decade. We first wrote about Zopa in 2006 (both in my book Outside Innovation and in a longer case study). In this new case study (which is available for download to Customers.com Strategies’ and Technologies’ subscribers), we bring you up to date on the company and its evolution. Mobile app development is a popular investment among top execs. 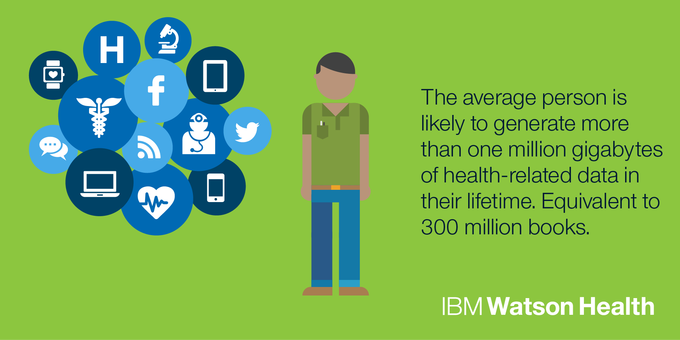 Mobile apps are well-suited to customer co-design. Mobile apps require close integration with customer portals, customer-facing web sites, social media, contact centers, and customer service. Customers’ priorities and success metrics (transmitted through stories) trump organizational politics. Mobile app development is only one of many areas in which customer co-design shines. Ideally, you want customers to lead any new product or service innovation or re-design activity. But let’s get real. Embedding customers into your internal design and development processes is hard. It’s counter-cultural for most organizations. I was recently engaged to facilitate an “innovation discussion” between a client’s cross-functional innovation team and an insightful team of people from one of their customers. The session didn't meet my expectations. Don’t get me wrong; it was a valuable interchange. My client learned an incredible amount about their customers’ (mostly implicit) business drivers, about the real-world constraints of their particular business, about the seemingly intractable problems they had. Their customers learned new ways to think about and to solve some of their operations’ problems. Both teams bonded and agreed to continue working together closely on mutually beneficial projects. The customers were grateful for the opportunity to step back from daily operations and think more strategically. My client will no doubt win more business from this account. My client’s top execs gained a shared, holistic understanding of their customer’s operating environment. Everyone enjoyed themselves. Not a bad outcome for 5 hours of guided conversation. 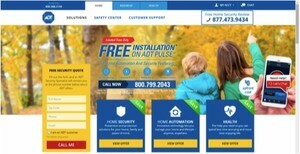 Do Your Policies Make Your Existing Customers Angry? Often in a large company, the proverbial right hand doesn’t know what the left hand is doing. Each department creates policies to streamline business processes, improve consistency and quality, and preserve margins. The sales organization is anxious to drum up new business, so they want to court new homeowners, and provide “try it, you’ll like it” policies. The service organization wants to give existing customers the opportunity to renew their service agreements, even when their circumstances change (e.g., they moved from one home to another). The finance group wants to reduce credit risk and eliminate fraud. Every department’s policies make sense in isolation. But, as new and existing customers, we often get caught in the crossfire of these departmental policies. We become confused by the cognitive dissonance these policies imply. Why would you not let a new home owner buy your alarm service for 30 days, if your systems had been previously installed on that home? Particularly when, at the same time, your salespeople are courting that same new home buyer with special offers? That doesn’t make sense, does it? Or why extend credit to customers for their first $5,000 of transactions, but freeze their accounts and demand credit checks after they have successfully met and paid back that first $5,000? These are two real-life examples you’ll read about in Irene Kopel’s real-life customer service anecdotes. Often, it takes a long time for the voices of the minority of customers who get caught in this cross-departmental cross-fire to rise to the attention of your executive committee. Meanwhile, this relatively small handful of customers is complaining loudly to friends and family members and colleagues, posting on Facebook, Tweeting, and even creating negative websites about your company. By then, it’s way too late to do damage control. Instead, you need (at least) annual CX audits. Walk through your end-to-end Customer Journey, see where the gotcha’s are, and fix them! How to Audit Your Cross-Departmental CX. A great way to do an annual Customer Experience Audit is to engage with your customers—particularly those who have complained, or not renewed, or reduced their spending. Recruit them as part of your CX Audit team. Interview them (not just surveys) and discover what problems they encountered, how their context has changed, and how the competitive landscape may have affected their behaviors. Engage them in a Customer Experience Journey Mapping session to document where the issues lie and how they’d ideally like to be able to mitigate or avoid them. Make sure that you combine these customer critics on mapping teams along with the key influencers in each of your major functional departments. These collaborative teams will identify the customer-critical issues, probe the policies and business processes that caused them, and redesign those policies and processes into win/wins. Voilà! Problem solved! Annual Customer Experience Audits more than pay for themselves in improved customer retention, increased share of wallet, and more positive social media buzz.